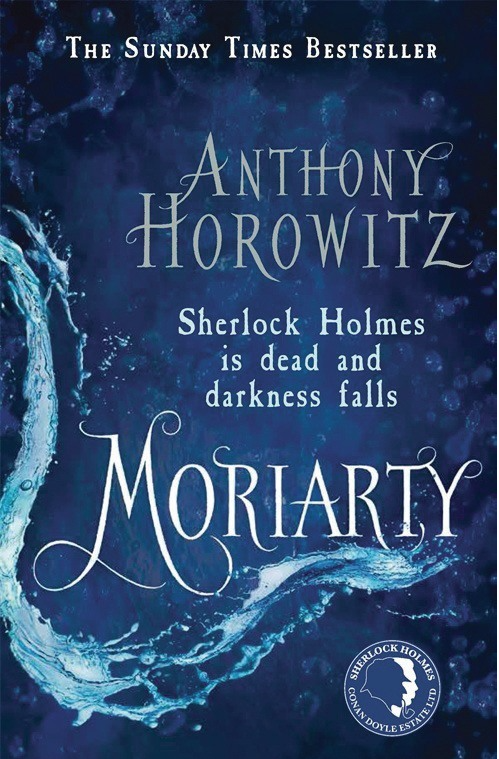 I really enjoyed Moriarty – I thought the twist was great because I hadn’t expected it ( then thought perhaps I should have) it made me gasp. I like being so memorably surprised. Yes, it was a shock but I also felt mislead. Afterwards I thought it made a lot of sense. But I was a bit dsiappponted. But I did love it and would read another of his novels. I tend to stay away from “sequels” too. I haven’t read much Sherlock Holmes but I read a story of his in one of those collections from various writers and I was surprised to find that it was one of my favourites in the book. Sometimes it’s a good thing to take reading chances, and that’s what happened here. I’ve read all the Sherlock Holmes stories and loved them. He’s a great, tormented character and the atmosphere is terrific. In this case, I really took a chnace and it was worth it. I bought a collection on the Kindle. I’m at the point that virtual books are ok. I like reading on the kindle, and 50 less books are 50 less books. True but I still don’t like reading novels on the kindle. Hi, Caroline. Thanks for reviewing this book; I’ve had it in my online library’s wish list for almost a year now, but couldn’t persuade myself to read it. It’s not so much that i doubted Horowitz’s authorly skills as that I always resent anyone, even a latter-day miracle worker, making free with my great hero, Sherlock Holmes (and who would he be, too, without Dr. Watson?). I’m afraid I’m a purist who shuns works penned after the original author is dead. A. C. Doyle is dead? Then so is Sherlock Holmes. That’s been my attitude. I’ve never read “The Ten and a Half Percent Solution,” or “The Ten Percent Solution,” or whatever it is, and even though I thought someone told me that “The Curious Incident of the Dog in the Nighttime” was only borrowing the title from Sherlock Holmes, and I actually own a copy of the book, I have somehow not read it either. But Horowitz is tempting, especially in this day of giving villains their fair share of the attention and making them as important nearly as the heroes and heroines. Now maybe that I learn that you yourself have read it and thought it worth commenting upon, I will get round to it. As to Horowitz’s other books, I’ve seen the front covers on my online library site (at least the ones used in the U. S.), and none of them look to be more than cheap thrillers, though that may easily be unfair. I know I’m not supposed to judge a book by its cover, he! he!, but having worked in my family’s book business for years from the time I was small until I was in my early twenties, I can tell you that marketing and merchandising of books and their representative covers is amazingly consistent. I often decide to read books because their cover alone looked tempting, while I totally ignore the blurbs. Anyway, Horowitz, here I (eventually) come! P.S. If you’re into reverse tales with the villain as a sort of hero or heroine, maybe try “Wicked” by Geoffrey Maguire, a tale in which the Wicked Witch from “The Wizard of Oz” has her apotheosis. I’ve got that on my shelves and wanted to read it for ages. Thanks for the nudge. I hope you’ll like it. I think those with the terrible covers, you mention, are for a younger audience. I think it’s a YA series. He wrote another novel, before this, in which SSherlock Holmes plays a role. I?m pretty similar when it comes to covers, btw. I feel like you about most Sherlock Holmes inspired books but nonetheles, I was suddenly tempted and I don’t regret it. He really writes well. Very accesible, readable. I also heard a lot of good things about Laurie R. Kings novels and will read one sooner or later. Let me know how you liked it, should you read it. It’s the perfect autumn read. I know you like historical fiction, so I could imagine you’d enjoy it. Caroline, have you not seen the series “Sherlock” with Benedict Cumberbatch? They did this story brilliantly. The Moriarty in the episode was truly despicable, but made for great viewing. I didn’t realize it was based on a novel by someone other than Arthur Conan Doyle. The series is based on Conan Doyle. I just think they flesh out the original stories. I saw a few of the episodes but after a while I enjoyed them less. I haven’t seen the Moriarty one though. I’ve only ever read one Sherlock Holmes story (The Hound). 😐 I’m glad you mostly liked this spin-off. It sounds as though the author did a good job of mixing the old and the new – that can be hard to pull off – and he’s brave to have taken on a beloved character such as Holmes. I’ve flicked through some of the Austen spin-offs and found them entirely wanting, but is sounds as though Horowitz mostly pulled it off. The Austen spin-offs are quite different. I think often they are not even spin offs of the book but of the movies and pretend Austen is pure romance. I’ve got a fee suggestions from Amateur Reader (Tom) a while back though, which should be really good but aren’t romance/fluffy but rather contemporaray witty. I did love THe Jane Austen Book Club though, but that was different. Horowitz never cutefies (a word I possibly just invented) the Homes stories. He’s true to the spirit. I really liked that. I saw the movie of The Jane Austen Book Club and didn’t mind it. I can’t really remember what it was about now, though. While on the subject, recently I watched the 1995 film based on Persuasion, and really liked it. Have you seen that one? Also, I bought ‘Mr Holmes’, the Mitch Cullin novel, the other day. Have you read it? Circumcised? Oh, that’s weird. I hadn’t heard of Mr Holmes. I’ll have to look it up. I’ve watched the more recent BBC version of Persuasion and I’m not sure I liked it. It’s ok but something was missing. I guess The Jane Austen Book Club is different because it’s about her books and not a spin off. Though I am also very skeptical of these series that consist of sequels to classic books I have heard really good things about Horowitz’s work. Personally I would want to refresh my mind with a reread of some of the original Sherlock Holmes books before reading this. Are you going to read House of Sllk? I’m not sure about House of Silk yet, but possibliy, I will. It’s not bad to know the story about the Reichenbach Falls but not necessary as such. I have not read many actual Sherlock Holmes books–though I do read the Mary Russell/Sherlock Holmes historical mysteries which I really enjoy. I don’t tend to read or like spin-offs so much, but I have heard many good things about this and I think I would like it. Since I am not a Holmes devotee, I think it would be safe for me! 🙂 When will you go to the actual falls? I hope you take pictures! I’m pretty sure you’d like this one. He writes really well. And I will read the first Mary Russell soon. I hope I can visit in September. It’s not very far from where I live but not as accessible, so I’m not sure whether we go by car or by train. I’m so looking forward to it. I hope I can share pictures. I’m so so glad you liked it: I have it on my Book club list for this year and I was a bit skeptical too. I hope I’ll enjoy it too, I’m not so familiar with Sherlock Holmes. You do? Hmm. I didn’t notice. Exactly. 🙂 I really dind’t like the twist at the time but looking back I must admit -it was more my problem than a problem with the twist as such. I can’t elaborate as it would spoil the book. I loved it. The atmosphere is great and he’s such an assured writer. You might enjoy it.